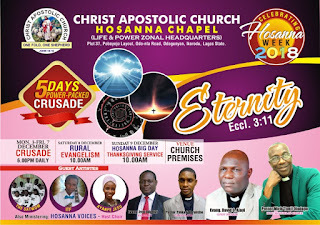 Christ Apostolic Church, Hosanna Chapel, Life and Power Zonal Headquarters, Odonla, Ikorodu Lagos will today start her annual spiritual festal tagged "Hosanna Week" with the theme "Eternity." As part of the activities to mark Hosanna Week 2018, open air crusade will hold at the church premises between today Monday December 3rd and Friday December 7th, 2018 by 6pm daily. 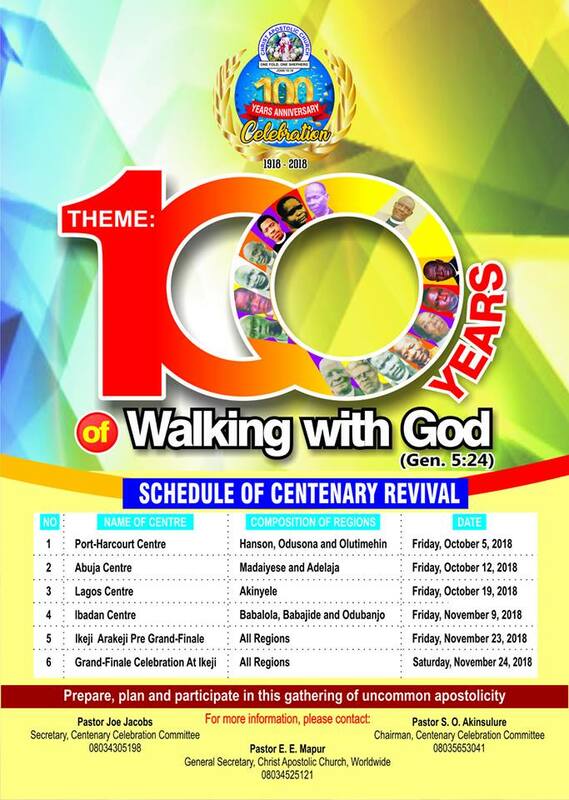 The church is situated at Plot 37, Poboyejo Layout, Odo-nla Road, Odogunyan, Ikorodu Lagos. 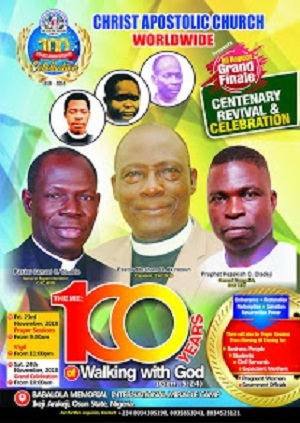 Invited guest for the crusade is Evang. David O. Ajayi, while guest artists are "The Satwom, ITF and Ayanfe Jesu. Hosanna Week 2018 continues on Saturday December 8, 2018 as the church will be going for Rural Evangelism. The grand finale which is on Sunday December 9, 2018 is tagged "Hosanna Big Day" (Thanksgiving Service). The service commences by 10am. Pastor Mich 'Tunji Oladapo is the Zonal Superintendent of CAC Life and Power zone.